First up, the recipes. Both used my favorite protein powder, Click. Seriously, I can’t get enough of the stuff. I’ve already shared an awesome cookie recipe using Click. Now if only they sold their product in Canada, I would be so much happier. 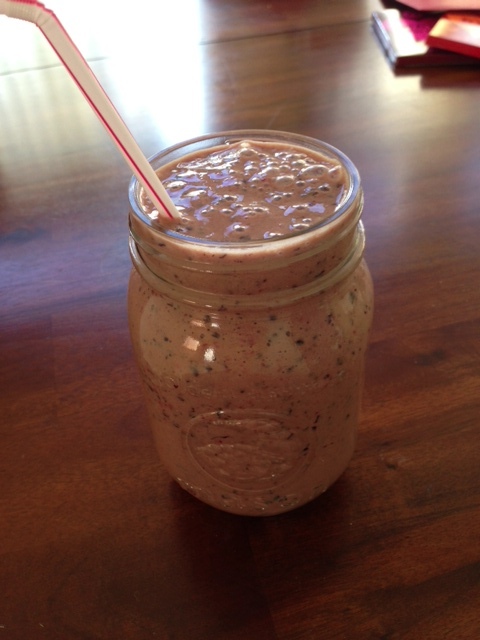 Friday, I made an awesomely yummy smoothie. It had a wonderful combination of fruit with a kick of espresso. 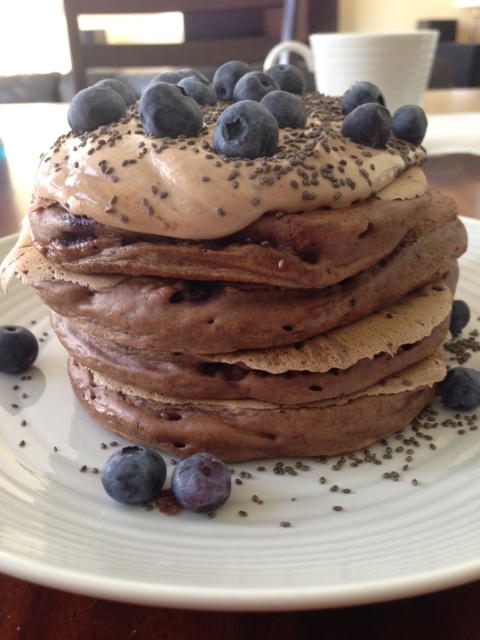 My second Click recipe to share with you is a concoction of chocolatey, blueberry goodness. In the form of pancakes. 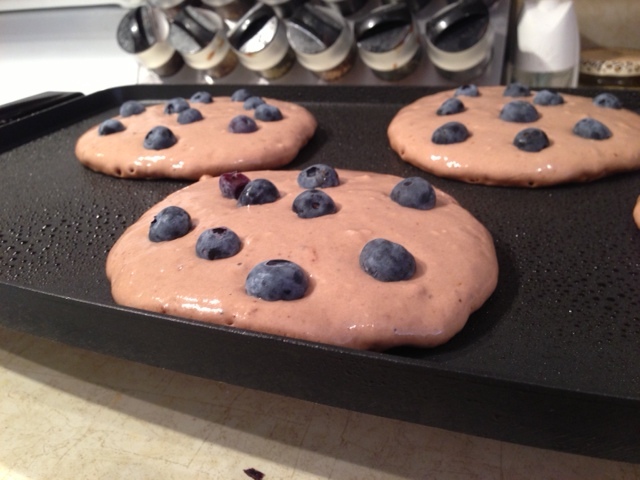 Oh my god, my stomach was so happy with these. Pretty easy directions. Mix all the ingredients then portion it out into about 6 pancakes on the griddle. 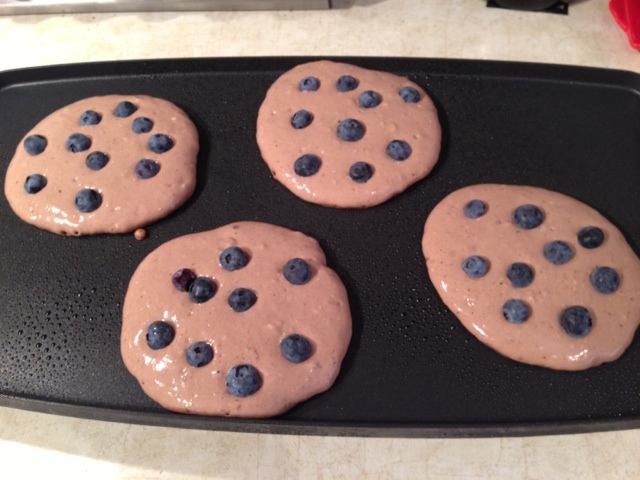 Place desired amount of blueberries on pancakes as first side is cooking. 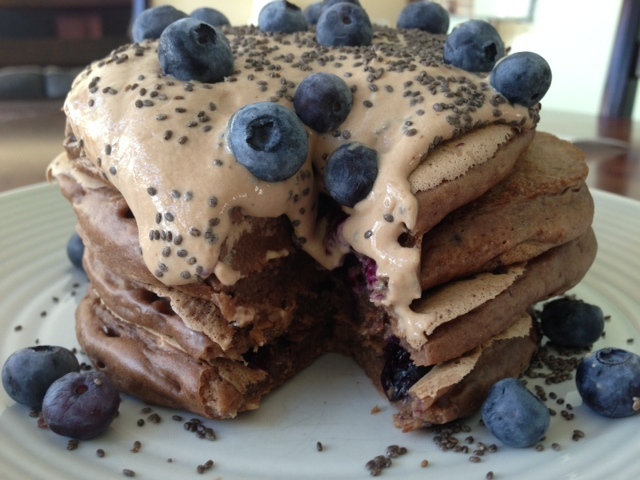 Stack when finished, top with protein frosting (you can play with the ratio of frosting ingredients for desired consistency), top with more blueberries and chia seeds. Now onto the workouts. On Friday, I wasn’t entirely in the mood to do the designated BBB workout, so I decided to whip up my own batch of goodies. I divvied it up between lower and upper body. I managed to get in 20 minutes of spinning just before the workout to get my heart rate up. 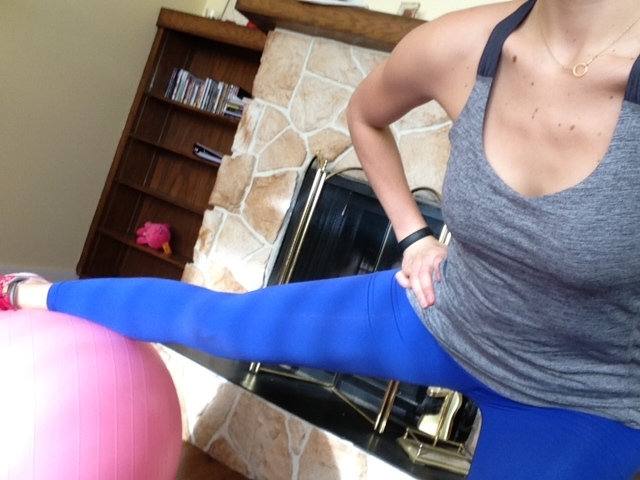 All in all, the circuit is quick, but effective- I was sore the next morning! Anyone have a favorite protein powder? Favorite recipe to use with it?? So I just ordered 2 samples of click because of all your posts. Which one do you like better- mocha or vanilla? I am going to try out both. Seriously those pancakes, you are speaking my lango. MOCHA!!!! But vanilla can be more diverse in recipes..
Really? I can’t stand the mocha!! I have 2 containers that are just sitting there. LOVE the Vanilla Latte though! do you have the nutritional breakdown on the drink you made? Just looked it up, and it’s roughly 230 cals, 5g fat, 3.7 g fiber, 24g protein. Hope this helps! Love Click! I will have to try it with fruit…I haven’t done that. I like to make the Click Spicy Mocha with cinnamon and cayenne. Yum!